(by Scott Bauer, Associated Press at StarTribune.com) MADISON, Wis. — Republican Gov. 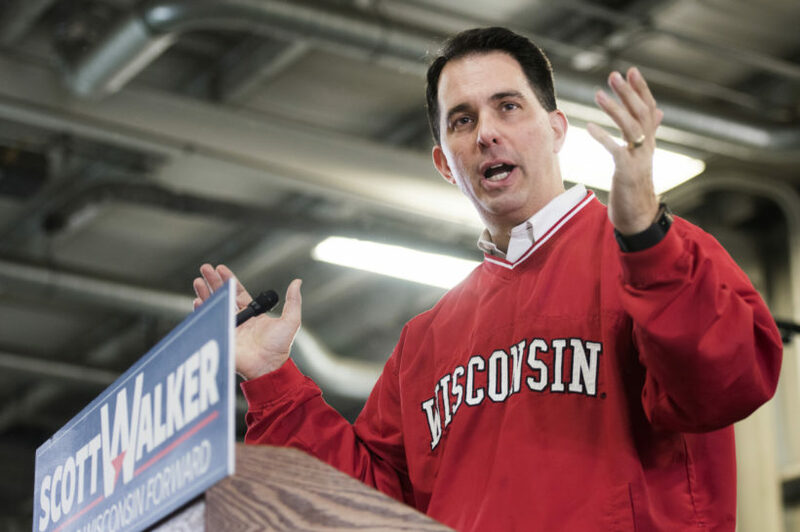 Scott Walker moved ahead Monday with his plans to make Wisconsin the first state to drug test able-bodied adults applying for food stamps, a move blocked by the federal government or found to be unconstitutional when other states have tried. Wisconsin’s plan was approved by the Republican-controlled Legislature more than two years ago, but it languished because it conflicts with federal rules prohibiting states from imposing additional eligibility criteria on food stamp recipients. Walker asked then-President elect Donald Trump’s administration in December 2016 to make clear that drug screening is permissible, but it has not taken action and now Walker is moving ahead anyway. The Legislature has four months to review the rule and it could take a year after its approval before the testing would begin. Lawsuits by those who oppose the drug testing are expected once it’s implemented, assuming the federal government doesn’t step in and block it in the meantime. “The state could do far more to expand the workforce by investing in broader access to effective drug treatment programs, rather than spending scarce state resources on the administration of drug screening and testing requirements,” said Jon Peacock, research director for Kids Forward, which advocates for children and families in Wisconsin. Peacock said he was certain there would be a legal challenge over the constitutionality of drug screening food stamp recipients as well as whether such a move would be a violation of federal law governing the food stamp program. Walker and 11 other governors in 2016 asked the federal government for permission to drug test food stamp recipients. From an Associated Press report. Reprinted here for educational purposes only. May not be reproduced on other websites without permission from the Minneapolis Star Tribune. 2. a) When did the Republican-controlled Wisconsin legislature approve the Governor’s proposal? b) Why has the plan not yet been implemented? 3. On what grounds did a federal appeals court in 2014 block a Florida drug test requirement for food stamp recipients? 4. How will the drug test requirement help people who have substance use disorders? 5. a) How many people are on welfare programs in Wisconsin? b) Who/how many would be required to take part in drug testing to receive their benefits? 6. If not blocked by the federal government or federal courts, Wisconsin would be the first state to implement such a requirement. How many other states have asked the federal government for permission to drug test? 7. a) How much would the drug treatment program cost for those who test positive each year? b) Where would the money come from? 8. The Daily Caller reports: “When Wisconsin and states have proposed limitations on food stamps in the past — like drug testing or preventing welfare dollars from being used on sugary foods and soft drinks — the federal courts and the government have blocked those states’ rules from going into effect.” What do you think: should the state be able to require drug testing for single people who do not have children who are participating in government assistance programs? Explain your answer. Read Gov. Walker’s statement on the drug testing proposal.